St. Alban's Episcopal Church: Small World... Small Church! One of my seminary classmates, Kathryn L King, had her 20th ordination anniversary yesterday. 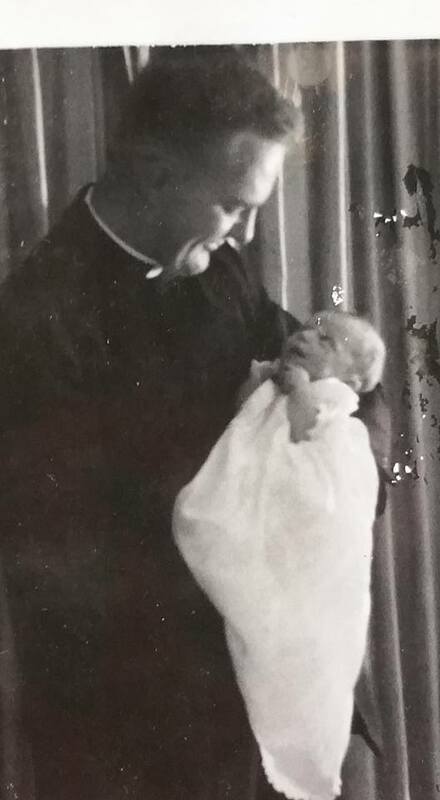 We discovered that she was baptized at St. Alban's by her father Alan King, who served at St. Alban's many years ago. You may remember, we posted a notice of his death last year. 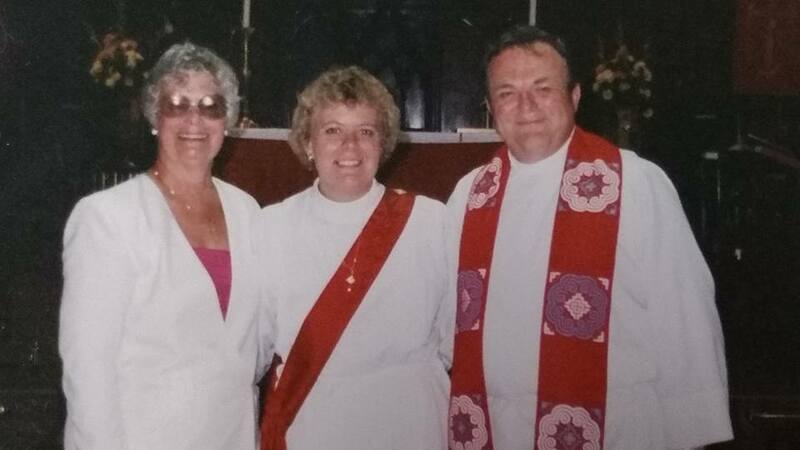 Here is a photo of Kathryn and her Dad (at baptism and ordination as a deacon). Anyone remember? Believe it or not - She currently serves at a St. Alban's in New Jersey! Small world!